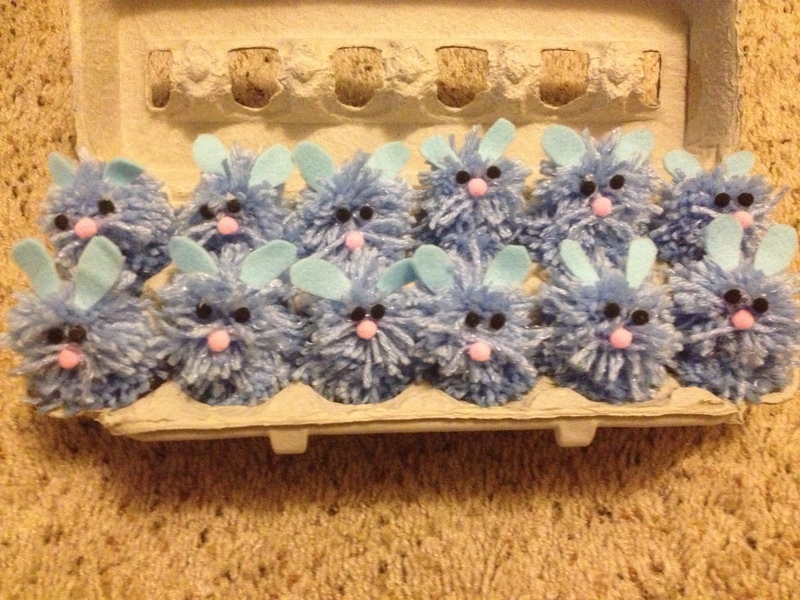 Because I am totally insane (and because I can) 12 bunnies for the babe’s Easter Egg hunt tomorrow. Yarn, felt, hot glue, and mini pouf balls. Consumed about an hour and a half of precious time and cost about $10. Because the less Candy my almost 2 year old is exposed to the better.